Attingham Park is a Grade I listed country house and estate in Shropshire, England. Built for the first Lord Berwick in 1785, Attingham Hall and its beautiful parkland were owned by one family for more than 160 year. The Attingham Estate, comprising the mansion and some 650 acres, was gifted to the National Trust in 1947. It is now the regional headquarters of the National Trust and also on the estate is the Shropshire office of Natural England. 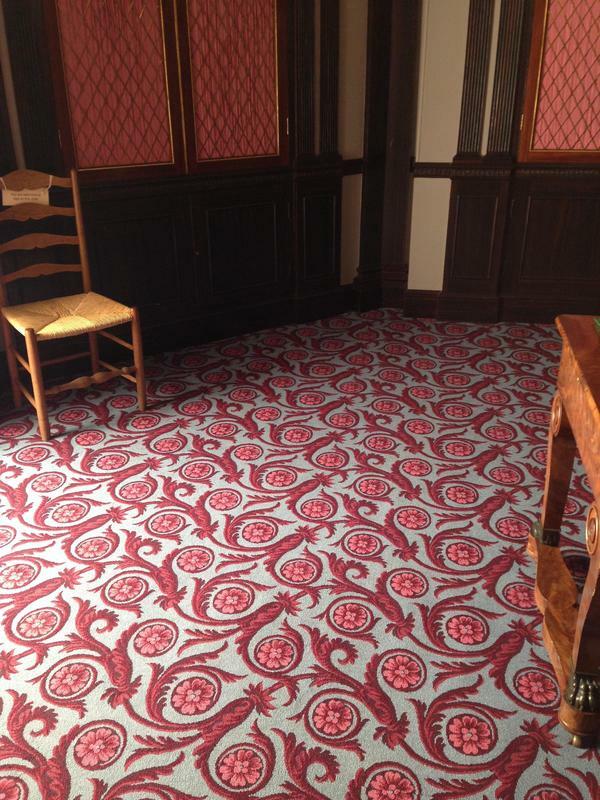 Brintons was approached by the National Trust as they were giving the Octagonal room a make-over. 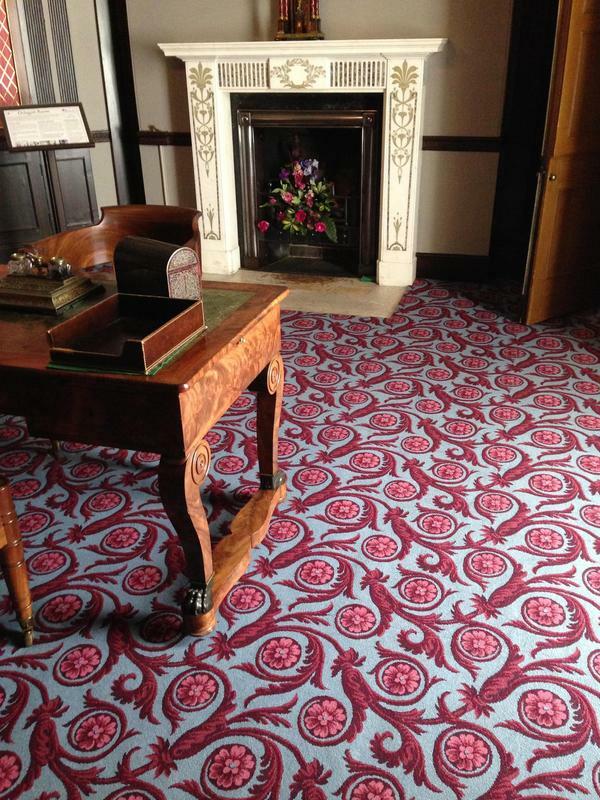 Yvonne Smith, Brintons Archivist, worked closely with the Project Curator Sarah Kay to identify carpet designs which, were authentic to the Regency period. Designs were chosen from Brintons extensive archive, which dates back to 1790. It is one of the world's largest commercial design archives and historical pattern libraries in the industry. 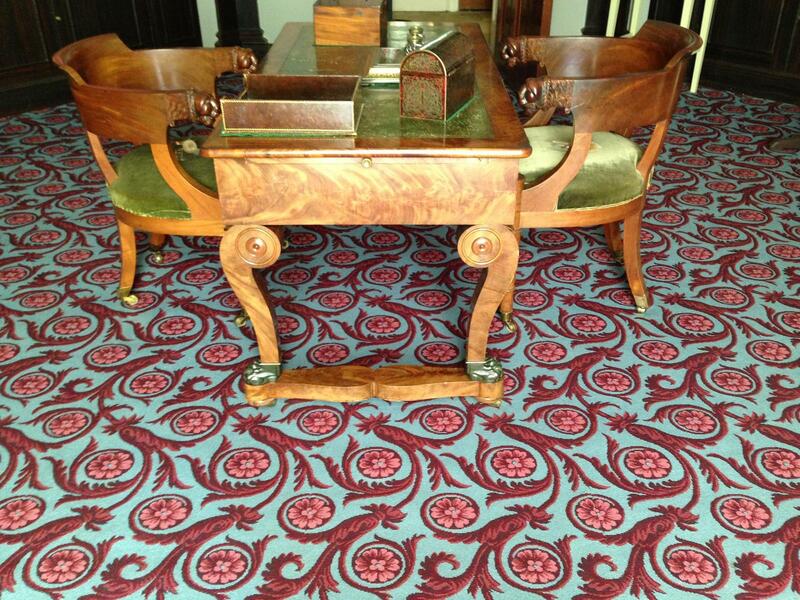 The design for the carpet was taken from Brintons archive – we needed one that fitted the written description of the original installed by 2nd Lord Berwick in 1813 and that was sold from the room in 1827: “… capital blue ground, crimson scroll and rosette pattern”. 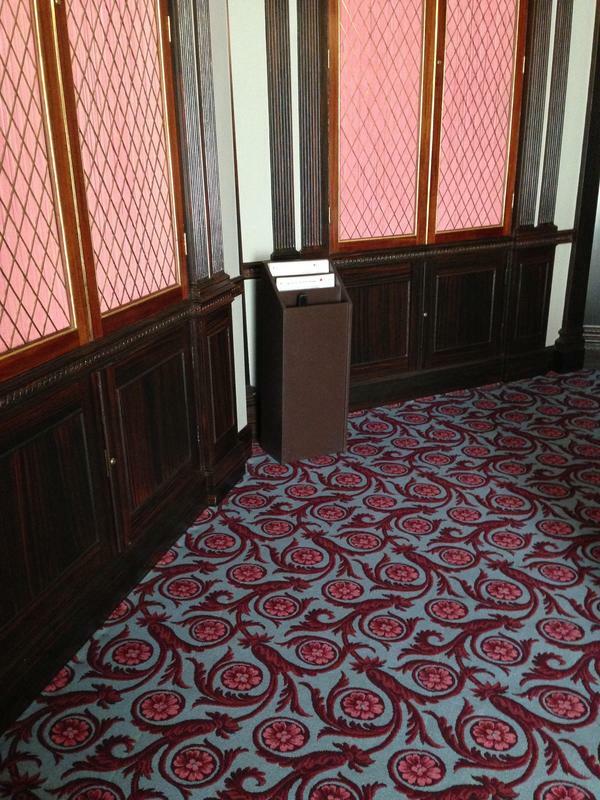 As we had no historic fragments of the carpet, the colour palette for the new carpet was helped by the fact that we had fragments of the pink tabouret curtains for the room, as well as the written description of the carpet colours. We also based our selection of the archive design for its similarity to the scroll and rosette in the plasterwork ceiling of the room.